Jane Conboy is a stress & trauma reduction specialist, certified hypnotherapist, a certified TAT (Tapas Acupressure Technique) professional and certified TAT Trainer and practitioner of EFT (Emotional Freedom Technique). She specializes in helping people recover from past traumatic events, fears, limiting beliefs, self-doubt, self-criticism, and habits that block success in all areas of their life. She also helps clients increase their self-esteem and self-confidence. Jane has been a stress & trauma reduction specialist and certified hypnotherapist since 1997. Since then she has helped clients with a wide range of conditions including: traumatic memories, traumatic stress, sexual trauma, accidents, phobias and fear of public speaking and performance. She has also helped those with allergies, sleep problems and fear of medical procedures and aiding in their recovery & healing. She has studied extensively with Tapas Fleming, creator of Tapas Acupressure Technique, including TAT for Healing the Emotional Aspects of Cancer and Other Diseases and TAT for Combat Veterans for post traumatic stress to help veterans and their families. She volunteers regularly to help veterans with post traumatic stress in Portland, Oregon. The focus of her hypnosis programs are for customized weight reduction, stop smoking, habit change and building self-confidence & self-esteem. Jane’s compassion, coupled with her ability to combine various techniques, helps her clients unblock their obstacles and thereby being more able to achieve greater personal peace, confidence and empowerment in their lives. 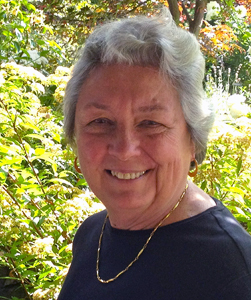 Based in Portland, Oregon, Jane sees individual clients and holds group sessions. Sessions can also be by phone, Skype or Zoom in many situations.